Bandai America is a subsidiary of Bandai Co. Ltd, Japan's leading toymaker and the third largest toy company in the world. Bandai America came to prominence thanks to the enormous success of the Power Rangers during the 1990s. After a few missteps (Bandai America gave up on Dragon Ball Z before the series was able to get established), Bandai has managed to begin to take advantage of the growing popularity of anime in the U.S. and create toys that have appeal both to collectors and to mass market audiences. Bandai's America's sister company, Bandai Entertainment has become one of the leading U.S. packagers of anime?and the two companies are working together on projects that should have strong appeal to collectors. Bandai Entertainment distributes such notable anime titles as Mobile Suit Gundam, Cowboy Bebop, and The Vision of Escaflowne. Working with Bandai America, the two companies have come up with five new Anime Collector sets based on an animated series from Bandai Entertainment. Each separately boxed set includes one 7-inch figure and two 4.5-inch figures based on characters from the series. 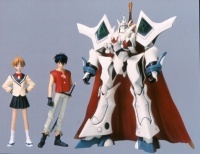 The Escaflowne Collector Set includes a 7-inch Escaflowne figure including weapons and armor, plus a 4.5-inch Van figure and a 4.5-inch Hitomi figure. The Big O is relatively recent anime that is slated for a spot on the Cartoon Network later this year (See 'Cartoon Network Adds Two More Anime'). The Big O Collector Set includes a 7-inch Big O figure, a 4.5-inch Roger figure, and a 4.5-inch Dorothy figure. Outlaw Star is an important part of the Cartoon Network Toonami Block right now (See 'Outlaw Star Rising Fast in Lycos 50'). The Outlaw Star Collector Set includes a 7-inch Outlaw Star Starship, a 4.5-inch Gene figure and a 4.5-inch Melfina figure. Like Outlaw Star, Cowboy Bebop is a fast-paced outer space adventure anime. The Cowboy Bebop Collector Set includes a 7-inch Sword Fish II Spacefighter, a 4.5-inch Spike figure, and a 4.5-inch Faye figure. Like The Big O, Pilot Candidate will grace the Cartoon Network later in the year. The Pilot Candidate Collector Set features a 7-inch Ernn-Laties figure, a 4.5-inch Zero figure and a 4.5-inch Kizuna figure. With a suggested retail price of $14.99, these collector sets represent a solid value and are recommended for all stores that carry a significant number of anime items. 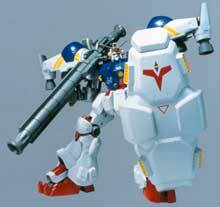 The Mobile Suit Gundam product line has been a staple of the Japanese toy industry for over 20 years. The appearance of Gundam Wing and Gundam Wing: Endless Waltz on the Cartoon Network last year created a major stir among American anime fans. This year Bandai America will expand its toy line from the Gundam Wing series to include the set of series comprising the Original Mobile Suit Gundam, The 08th MS Team, Gundam 0080, and Gundam 0083. The Gundam anime series that correspond to these toys will begin airing on the Cartoon Network this spring. The extensive Gundam product line includes both models and action figures. What is often confusing about this distinction is the fact that once the models are snapped together, they become action figures. Level 1 Gundam kits retail for $8.99 and contain over 65 multicolored parts. The finished figure stands 5-inches tall and contains 18 points of articulation. Level 2 kits take about 15 minutes more to build, cost $14.99 and feature over 20 points of articulation in the finished figure. Level 3 kits have over 80 parts and the finished product contains 25 points of articulation. Level 4 figures retail for $19.99, feature more than 130 parts and the finished figures (which can be 7.5 or 5-inches high) feature over 30 points of articulation. Level 5 kits are for expert builders. They come with over 140 parts, customizing decals and extreme articulation. In addition to the Gundam Model Kits, the first of which were introduced to the U.S. market last year, leading to a renaissance in model building, Bandai is also releasing several series of new Gundam action figures this year. New figures from the Gundam Wing Series, as well as figures from the Original Gundam Series, and several Gundam playsets will all be released this year. To support this extensive line of toys Bandai America is promoting a Gundam Interactive Tour, which will visit 25 American cities. 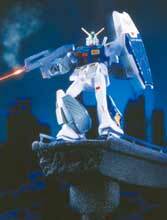 The tour will include model-building exhibitions and seminars on model making and the history of Gundam. Look for more details on this tour to appear here soon. Final Fantasy: The Spirits Within, which will debut this July, is the first computer-generated feature to simulate a full range of human emotions and movements with photo realistic human characters and backgrounds. Director Hironobu Sakaguchi led an international team of animators based in Hawaii to create this remarkably different animated film. Bandai America is the master toy licensee and they are producing 7 action figures and two vehicles. The figures will stand 6-inches high and include: Aki, Grey, Dr. Sid, Ryan, Neil, Hein, and Phantom. The figures carry an srp of $9.99. 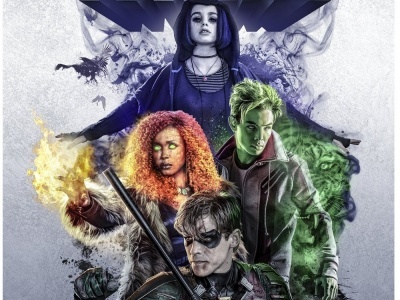 Because it skews so young, Digimon is a not as important a property for most specialty retailers, though it does benefit from mega TV exposure. In addition to a wide range of action figures, Bandai America is creating a variety of on-line computer games and expanding its digital battle card games. 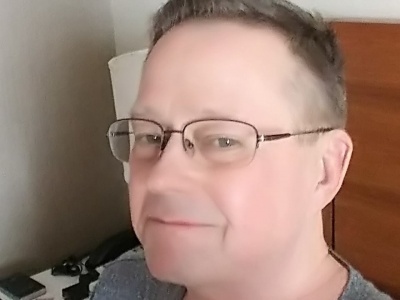 Cabinet Entertainment’s transmedia publisher Perilous Worlds has named game industry veteran Pierce Watters as its new Consulting Publisher.